DIMECC Fellow is a public recognition to a person, who represents the official set of DIMECC values in force at the time of nomination and forwards these with his/her behaviour. DIMECC values consist of openness & transparency for the good of digital, internet, material & engineering technologies and ICT, manufacturing & engineering industries, efficiency & effectiveness in implementations and activities, and expressed cooperation and recognition towards external competence. The nomination is a personal life-long status, except the case where a person is experienced behaving against the selection criteria and DIMECC values. In this unfortunate case, nomination will be cancelled. Who can be named as DIMECC Fellow? Many years of work for and publicly shown support to DIMECC Ltd. (no need to be formally DIMECC employee). Experienced by colleagues and others as a strong supporter for openness, transparency, and renewal. Effective and efficient work for the generic and overall success of ICT, manufacturing & engineering industries. Willingness and capability to combine scientific and practical interests. Positive and open mind towards new, radical, and non-traditional ways to organize R&D&I and management of these. How DIMECC Fellow is nominated? Anyone can suggest a person that meets the criteria above, to DIMECC’s CEO. Listening to the CEO’s proposals, the Board of Directors nominates maximum one person per each of DIMECC’s life years as a DIMECC Fellow. How DIMECC Fellowship is published? DIMECC Fellows are presented with short descriptions and pictures in the company’s web pages, newsletters of the nomination time, and in annual reports. All FIMECC Fellows once nominated will be later presented as DIMECC Fellows with exactly the same continuum of order once started. About 20 years before there was DIMECC, Prof. Karjalainen started to work systematically in academia with industry, just like we do today in DIMECC. Karjalainen has significantly contributed to the strategic directions, scientific quality, and societal role of DIMECC. He has built one of the key competence centres used in DIMECC research, the Centre for Advanced Steels Research in the University of Oulu. Even before there was DIMECC, Mr. Niemelä took care of the success potential and operative options of the to-be operational model. He contributed to the recruitment, organizing, and naming DIMECC. Through all the years, he has helped DIMECC both in international relationships and national innovation environment. Five years in the board of DIMECC and the three-year period as the chairman of the board gave DIMECC and all of us a long list of good ideas to be implemented. All these ideas by Mr. Sommarberg are powered with DIMECC spirit: Just like the others would not guess. ​Even before there was DIMECC, Dr. Ranta-Eskola participated in discussions, that initiated company-driven R&D&I model for Finnish metals and engineering industries. 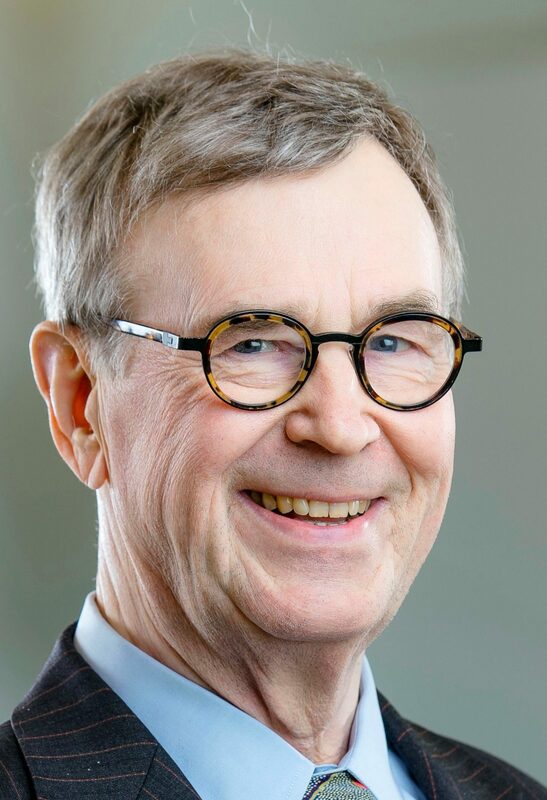 From the build-up phase of DIMECC until his retirement in 2015, Dr. Ranta-Eskola has significantly and publicly promoted DIMECC, contributed to the strategy and research program content of DIMECC, and motivated his own organization to implement SSAB’s R&D efforts in DIMECC programs. Mr. Vessonen states almost in all of his public speeches, that DIMECC is the best way to carry out applied research that he has identified during his 25-year career. Mr. Vessonen performed excellently when leading DIMECC EFFIMA program for five years. He participated both in leading the big picture and managing the details. Mr. Vessonen highlighted always those who created the results, and promoted DIMECC spirit of sharing and searching for new opportunities. Dr. Janne Järvinen has lead two very successful DIMECC programs: Cloud Software and Need for Speed. The programs have increased the competitiveness of Finnish SW intensive industry – the industry which is in the forerunner of digitalization. Dr. Järvinen has had an undisputed role in this increase. He has brought the way how to lead agile co-creative R&D programs into completely new level. DIMECC in total has taken those methods on agile program management into use for other business and research domains. In addition to contributions to DIMECC innovation platform, he has actively worked in EU level, especially in the context of ECSO (European Cybersecurity Organization) and EIT Digital. Mr. Markku Korkiakoski has had a critical role in joining Finnish forces, both industrial and academic, in cyber security area through DIMECC’s Cyber Trust program. He has decisively worked to ensure that Cyber Trust program was started despite of difficulties in the early stage. Mr. Korkiakoski has proactively found solutions to make DIMECC platform larger and more well-known in international context. The start of NSF (National Science Foundation) I/UCRC (industry university cooperative research center) in this autumn would not have happened without him. In addition, new activities to boost cooperation within Finland and internationally are under preparation currently. By contributions in cybersecurity area, Mr. Korkiakoski has made his employer Bittium more significant and more benefiting player within the DIMECC innovation platform. Mr. Eloranta was the primary initiator and creator of the first ever DIMECC program, I&N. He initiated and launched the first DIMECC ecosystem, One Sea. He has contributed to the DIMECC program management, portfolio volume, and lean integrator role in the industry and in Finland significantly. In his DIMECC shareholder company employments he has centralized and opened RDI projects within the DIMECC context. Mr. Eloranta has creatively opened new avenues for all Finnish organisations to make wider, more impactful, and more systemic benefit out of working within DIMECC innovation platform. Prof. Miia Martinsuo has had an important and holistic role in DIMECC’s service business research and development from the very beginning of the establishment of our company. She was part of the initiating team of the first service research programs, served a couple of years in the management group of our company, and has published a significant number of scientific articles both in English and in Finnish promoting the public private partnership way of carrying out research. Prof Miia Martinsuo has benefited our community both through the practicality and usefulness of science, and through the scientific power of empirical data. Mr. Tomas Hedenborg has had a critical role in gathering the Finnish industry and industrial decision-makers to work in innovation based on a systemic and holistic community DIMECC. Mr. Hedenborg has served the whole ten-year period of our company in the board of directors and in many services’ steering groups. For four years, he was the chairman of our board. He is the man behind the great and growing MPD event, he led the merger of our company three years ago, and he has lifted DIMECC to EU agendas available in industry. Mr. Hedenborg has taken two Finnish SMEs, Prima Power and Fastems, to the way of increasing R&D&I investments. There are not enough words to thank and appreciate the work of Mr. Hedenborg in the Finnish innovation landscape discussions. Prof. Yrjö Neuvo has invented many ideas and new executions both in industry and in the academia. One of his work fields has been within our board of directors. For many years, he challenged our ambitiousness, and promoted flexible piloting and trial & error culture. This all made DIMECC stronger, more flexible, and execution-oriented. Prof. Neuvo is the inventor and father of PoDoCo, the greatly appreciated match-making for post-docs and industry. Prof. Neuvo has guided many talented individuals to work within and for DIMECC.